Prince Rogers Nelson has died, on April 21, 2016. Prince was born on June 7, 1958, in Minneapolis, Minnesota, and created the "Minnesota Sound." 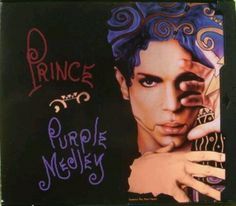 During his career, Prince was not shy about using the twilight language of the All-Seeing Eye on his album/CD covers. Some feel he felt tied to the Illuminati. Others feel he was anti-Illuminati. 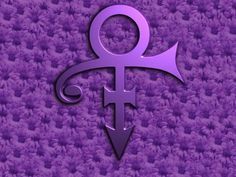 The symbol below was what took the place of Prince's name when he dropped his formal moniker for awhile. It mwould soon be dubbed "The Love Symbol" and Prince would be referred to as "The Artist Formerly Known as Prince," "TAFKAP," or simply "The Artist". Later, when he changed his name back to Prince again, he was sometimes called "The Artist Formerly Known as 'The Artist Formerly Known as Prince'". Prince postponed two performances from his Piano & A Microphone Tour on April 7, 2016, at the Fox Theatre in Atlanta, Georgia, stating that he was "battling the flu." On April 15, the artist's private jet was forced to land in Illinois so that he could seek medical treatment for influenza-like symptoms, after performing the rescheduled Atlanta concert the day before. He was seen in public the following evening in Minneapolis, when he stopped at the Electric Fetus on Record Store Day, and made a brief appearance at a dance party at his Paisley Park Records recording studio complex in Chanhassen, Minnesota, stating that he was feeling okay. Prince died on April 21, 2016 at 10:05 a.m., at the age of 57, having been found unresponsive in an elevator that morning at his Paisley Park complex. Source. Denise Katrina Matthews (born January 4, 1959), better known as Vanity, died on February 15, 2016. She was a Canadian singer, songwriter, dancer, actress and model, who turned away from her music and acting career to concentrate on evangelism. Her career lasted from the early–1980s until the mid–1990s. In 1980, she met Prince at the American Music Awards. Prince renamed her Vanity, as he considered her to be the female form of himself. After learning that Vanity could sing, Prince asked her to become the lead singer of the girl group Vanity 6. Due to her kidney problems which were caused by years of drug use while she worked as a performer, she had to undergo peritoneal dialysis five times a day (each session was 20 minutes long). She suffered from sclerosing encapsulating peritonitis, a rare complication of a peritoneal dialysis, and died in a Fremont, California, hospital on February 15, 2016, from renal failure. She was 57 years old. The origin of the name Chanhassen comes from the Dakota word chanhasen meaning "sugar-maple tree" (chan, tree; haza, a tree with sap). The Paisley Park Studios, where Prince was found dead, was named after his song of the same name. The studio was designed by architecture firm BOTO Design Architects of Santa Monica, California, and was completed in 1988. BOTO Design Architects is an architecture, acoustic, and interior design firm with studios in Santa Monica and Colorado. It was founded in 1983 by Principal architect Bret Thoeny in Venice, California. Paisley is a Scottish name that means "church." The name Paisley comes from a town in Scotland that made the Indian/Persian design we know today as "paisley" famous with shawls woven in their textile mills during the 1800s. Since this pattern had its roots in the cottage industries of Paisley Abbey, it is interesting to note the word "Paisley" itself is a Scottish derivation of the Greek word, "Basilica" meaning "church". Today, the link to the 1960s is a visual recognition of this distinctive intricate pattern of curved, feather-shaped figures based on a pine-cone design from India. "Paisley Park" is a song by Prince and The Revolution. It was the first single released in some international markets from their 1985 album, Around the World in a Day. The song has a psychedelic feel, similar to some of The Beatles' later work with echoed guitar and finger cymbals. The lyrics describe a Utopian place that one can feel in their heart, despite the chaos of the world around them. "Paisley Park" was recorded before Purple Rain was completed, indicating the new direction Prince wanted to take after the success of that album and film. 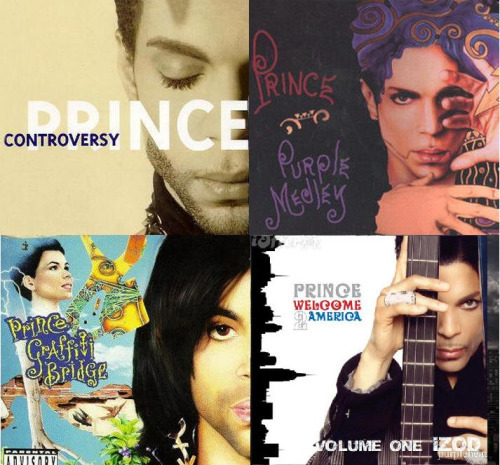 Prince, critically acclaimed, commercially successful, and fiercely independent. A rare individual for the entertainment industry. However the age of his death, at 57, is not unique at all, 56-57, is the most common for pop stars as per the following story. Both Prince and Michael Jackson died on Thursdays. "Prince was found unresponsive in the elevator at his suburban Paisley Park estate in Minnesota at 9.43am EST on Thursday and was pronounced dead less than 30 minutes later. The elevator sync really pushes the coincidence envelope.